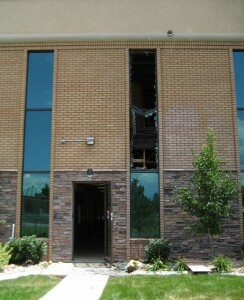 We had some excitement Friday night, July 3rd, when a fire started in the wooden window frame at the opposite end of the building from my little suite. 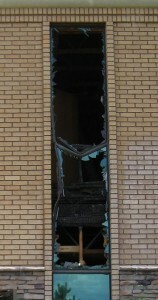 It’s believed the sun acted as a magnifying glass through the window starting the wooden frame on fire. I got to see the firemen in action because I was meeting one of my laboring moms that night. The halls were full of smoke, the gas was off, the power cut and the carbon monoxide levels were high so it wasn’t an inviting labor spot. Fortunately she had a psychic baby boy because her labor stopped and he waited until Sunday to be born in the cushioned tub at Great Expectaitons. It smelled like a campfire mixed with burnt popcorn in the halls for a few days and they still have air cleaner machines running …but in my world everything was back to normal pretty fast. You are currently browsing the Great Expecations Birth Care blog archives for July, 2009.